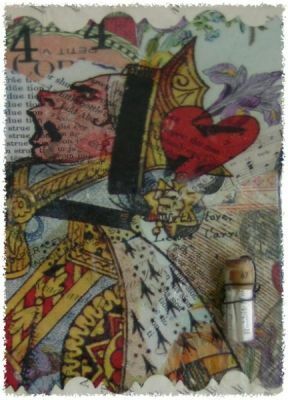 I love image transfers sometimes using them as the focal image and other times just to add some zing to an art piece. An image transfer is, to put it simply, the act of transferring an image from one source to another. Depending upon what material you are wanting to transfer onto will depend on what type of transfer method you want to use. 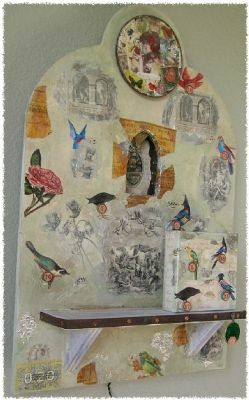 What I love about transfers as opposed to just taking the image itself and gluing it down, is the transparent effects you can get from transfers-- allowing you to layer images or let the surface design show through. i.e. as a patterned fabric or woodgrain. I love how permanent the final outcome can look as if it has been there forever or was printed or painted on as opposed to just glued. 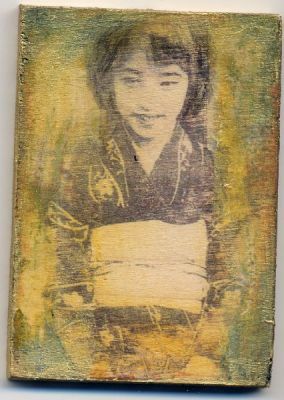 Depending on the method, some transfers create a lovely aged and distressed image due to the natural imperfection of the technique. Supplies: Here are some common supplies that are needed depending on the type of transfer. I will detail out more as we go along. A burnishing tool is needed for all of the methods except heat. I like to use a Japanese baren which is a printmaking tool and the rounded back of an old tablespoon. You can see the baren in the picture sort of a round paddle with a handle. A bone folder is great as well however you have to go a little more lightly with it or you can distress your transfer. Laser copies either black & white or color will work with: caulking, gel medium or heat transfer. Toner based photocopies will work with: caulking, gel medium, xylene or heat transfer. Ink jet printouts on printer paper will work with: caulking or gel medium transfer. Ink jet printouts on a transparencies will work with: gel medium transfer. 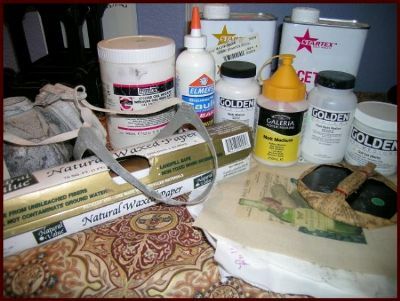 Acrylic transfer: Nearly any gel, medium or acrylic paint will lift an image. My preference is soft gel gloss and matte medium. Golden or Winsor Newton are my favorites. Images printed from a laser printer, toner based photocopy or ink jet printouts either on paper or transparencies work for this method. If I'm using an ink jet printout I use my Epson printer with Durabrite inks otherwise the transfer will fade over time with other inkjet printers. This method is good for paper, wood, fabric or organza ribbon. Xylene transfer: Xylene (Home Depot) and old rags. *This method is toxic I do it outside wearing a respirator and thick rubber gloves. Please read warning labels as well. Toner based photocopies or laser copies and a burnishing tool. This method is good for paper, wood, fabric. Caulking transfer: This is hands down my favorite transfer technique. It is very consistent and the final outcome is very stable and clean. Especially in assemblage pieces. For this you need Clear caulk. I like Elmer's Squeeze â€˜N Caulk is fabulous - no odor. I buy mine at Ace Hardware. Toner, laser or ink jet printouts and a burnishing tool. This method is good for paper, wood and fabric. Heat transfer: A finishing or tacking iron, clothes iron or a heat transfer tool that comes with some wood burning kits. Toner based copy. This method is good for wood and glass. Remember to mirror the image in the copy machine or your printer if there is text or it will come out backwards. For acrylic transfers, I usually take the image I am wanting to transfer and lay it image side up on a piece of wax paper to keep it from sticking to the table. Apply a healthy coat of medium to the image you are wanting to transfer. Note: If I am using an inkjet transparency as opposed to a paper printout. I apply the medium to the surface I want to transfer to instead of applying to the transparency. Remember to only apply it to one side of the paper - the side with your image. Begin smoothing the medium out across your image. Make sure to not leave any globs. You can use a brush if you would like. I use my fingers as it is easier for me to get a feel for how much medium is on the paper. It takes awhile to figure out the right amount of medium. Basically, you don't want it too thin but you also do not want it to be too thick. Once you have coated the entire image carefully lay it down on the surface you are wanting to transfer to. Smooth it out with you hand. And holding it down a bit at least until it adheres begin to burnish it across the back starting from the middle. I use circular motions and just work my way to the edges. You want to press down with a fair amount of pressure but not so much that you distress the image underneath. Also, you don't want the image to move - this can happen if you have too much or too wet of a medium. At this point I like to set the piece aside to dry for a few hours or overnight. You can speed this up with a blow dryer or heat gun. However, If I am using ink jet transparencies it's not necessary to wait for the piece to dry. With an ink jet transparency, after about a minute or so of burnishing I pull up a corner and peak to see if the image is transferring well. 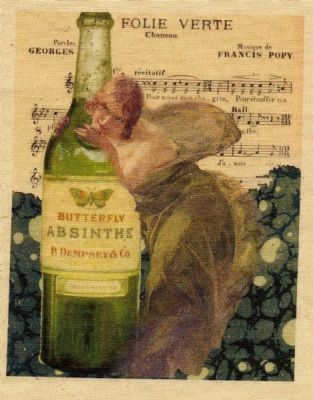 Burnish more if it is not fully transferred and lift off the transparency if it is. Voila you are done if you used an inkjet transparency. If you used a paper printout then onto the next step. When I use a paper printout I like to set it out for a few hours or overnight to let it dry. When it is dry I take a wet but not dripping washcloth and lay it across the back of the paper that I am transferring from and let it sit for a minute. Slowly and lightly I begin pressing the washcloth around the paper until is becoming more transparent and I can see the image underneath. Starting in the middle of the paper I take my fingers and slowly rub the back until the paper starts to come up. Working slowly and occasionally applying more water when needed I rub the entire back until another large layer of paper is gone. At this point as the image dries there is usually some bits of paper left leaving a sort of white haze. I usually leave this for 10-20 minutes, letting the newly surfaced image dry out again. I then start this process of wetting and rubbing over again until I have gotten all the paper bits off and the image is crisp and clear. The black and white ornaments in the above piece were acrylic transfers to acrylic paint. 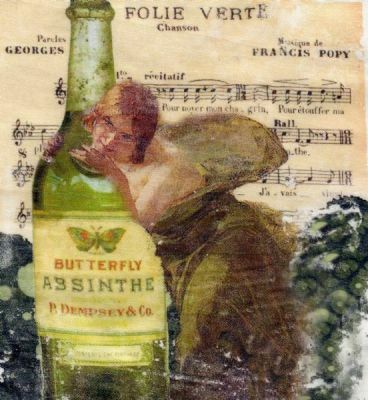 The absinthe fairy is a quick acrylic transfer onto fabric using an inkjet transparency. To show what it looks like when the burnishing is a bit too rough and too much medium is applied to parts of the image. Caulking transfer: For the caulking transfer follow the same instructions as the Acrylic transfer method. Squeezing a generous amount of caulking on your image and smoothing it out with a brush or your fingers. Following the same method of burnishing and allowing it to set aside for a few hours or overnight to dry. I find with the caulking transfer I do not have to burnish nearly as hard as with the acrylic transfer. My favorite thing to do with caulking transfers is to glue layers of papers and ephemera down on a surface. Then cover the whole piece with a caulking transfer. As I did in this piece with the lady posada being the tranfer. Above is a side of light box where I used that same technique and you can see the layers underneath. Xylene transfer: works great for line drawings and text. Take your photocopy to your receiving material and using a rag soaked in xylene apply a single coat over the back of your photocopy, without saturating the paper too much. Burnish the back of the image. I find sometimes I have to re soak the rag a few times as the Xylene dries out fast. Peel up the corner and check your image. Repeat applying Xylene and burnishing until satisfied. The Xylene basically transfers the toner image from your photocopy to the other surface. The guy on the side of this light box was a Xylene transfer over an old map of Japan. Heat transfer: Let whatever tool you want to use warm up to a medium/medium-high heat. Lay the image face down on the area you want to transfer your image to. 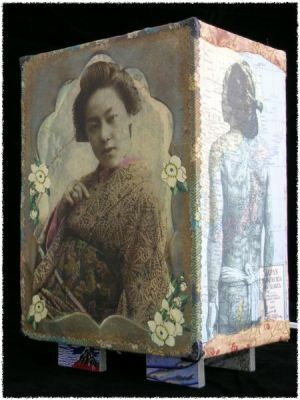 I use this method for transferring small images to wood and fabric. While pressing the tool down firmly and using small circular motions slowly run the tool over the back of your image. This step can take anywhere from a few seconds to a minute or more depending on the image and the age and quality of the toner. Carefully lift and check to see if your image is transferring. Repeat heat tool and circular motions until satisfied. Sometimes I use the edge of my heat tool to kind of burnish the image off onto the other surface. The words in this piece were a heat transfer. Here is a heat transfer on wood. Printing on fabric directly: When I want an image on fabric this is always my choice. I use my epson printer with durabrite inks as it will resist fading. The images come out vivid and beautiful. For this you need some freezer paper, an iron and some fabric - I usually use unbleached muslin. Lay the fabric down on a heat resistant surface. Lay the freezer paper shiny side down on the fabric. Iron the back of the freezer paper for a few seconds until it adheres to the fabric. Using a piece of paper as your template cut the fabric with the freezer paper still attached to it to a standard printer paper size. Using one piece at a time load your printer and print your image. Remove the freezer paper and voila you have your image. I am usually able to get the freezer paper to work 2-3 times before it is trash. Here is an example of a printing on fabric directly. I usually get a bunch of "fabric paper" ready in one sitting. When I am ready to use them I run the iron over the back of the freezer paper and around the edges once more before feeding into the printer. Make sure you only load one piece at a time. I stay with my paper until I see that the printer roller is feeding the paper through the copier smoothly. 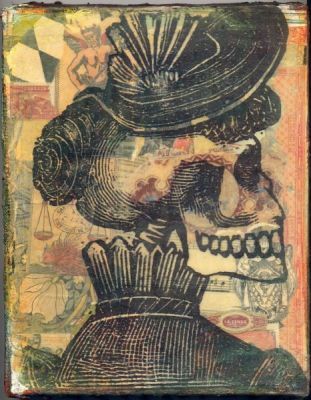 There are so many more resources for learning how to transfer images. Google Claudine Hellmuth, Jonathan Talbot and Lesley Riley for more. They have all written extensively on different methods and are full of insanely fabulous ideas. 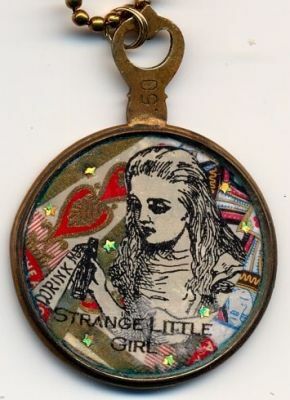 There are many other methods for image transfers such as acetone, lazertran, contact paper, tape, liquid sculpey, omni, water and Polaroid transfers that are also worth looking into and trying as well. Maybe part 2 of transfer techniques!